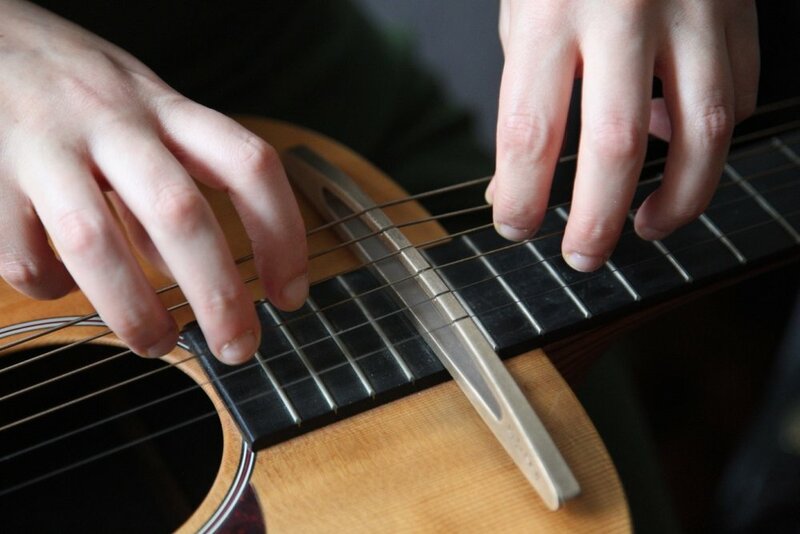 The Passerelle is a bridge that turns any regular six string guitar into a twelve note instrument that can produce sounds reminiscent of the Japanese koto or the Chinese guzheng. It can be used just for sound effects or as an entirely new instrument for composition. 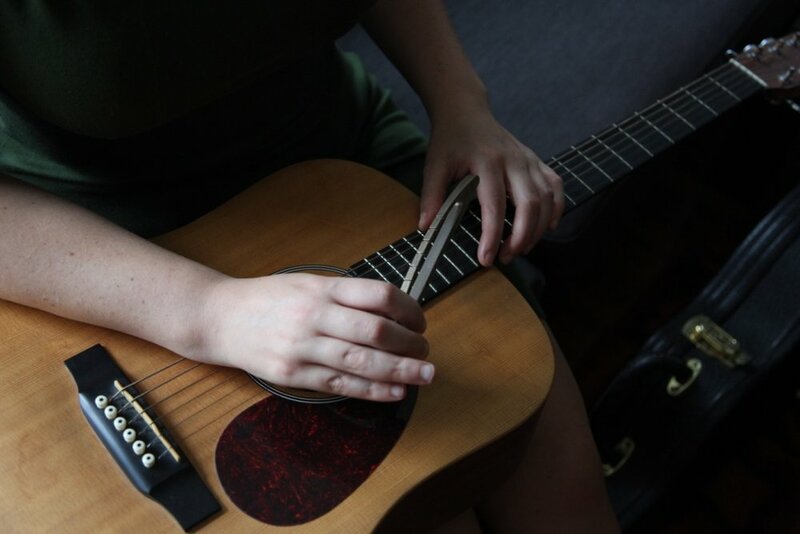 The Passerelle is a collaboration between Kaki King and Luthier Rachel Rosenkrantz, both innovators and free thinkers who push the boundaries of their crafts. Listen to Kaki’s songs “Nails” and “Bowen Island” to hear it in action. It is made and finished by hand in Rhode Island.